Quality aluminium socketed rugby posts - a lighterweight alternative to heavier steel posts. Two piece uprights with the bottom upright made from 76mm diam aluminium and the top section and crossbars from 63.5mm diam aluminium. The posts are powder coated white. Posts are supplied with steel ground sockets with hinged lids. 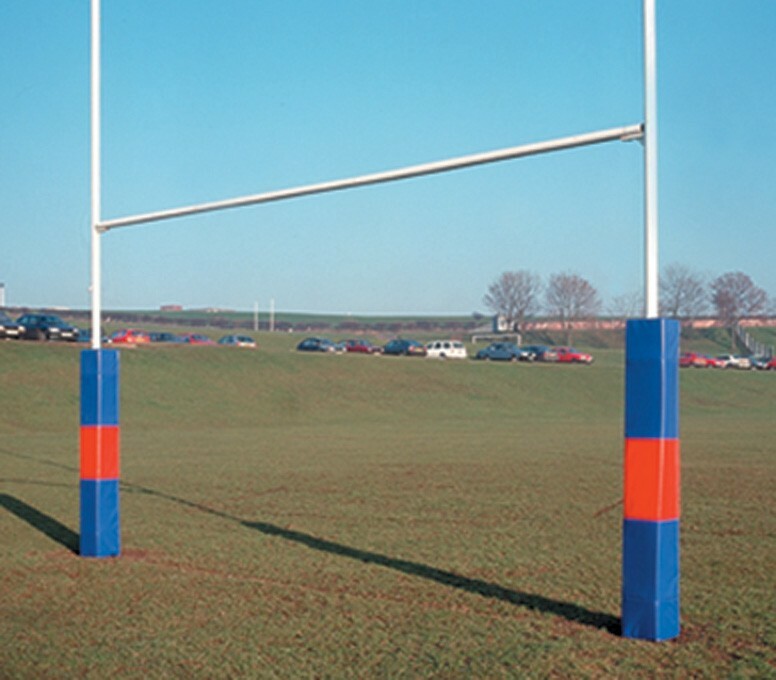 It is recommended that all rugby posts should be used with padded post protectors.